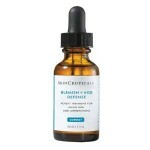 Derma E Skinbiotics Review: Does It Provide All The Benefits? 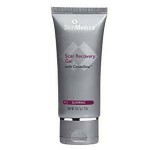 This Derma-E Skinbiotics Treatment Cream review will provide you with the information you need to determine whether or not this antibacterial skincare treatment is right for your skin. 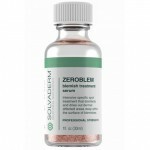 This product is intended to prevent dryness, irritation, and other skincare issues. Derma-E Skinbiotics Treatment Cream is a unique vegan, cruelty-free treatment that uses a blend of antibacterial and hydrating ingredients to protect the skin against dryness, irritation, and adverse skin reactions. This product is perfect for those that experience rashes or want relief from abrasions. For best results, Derma-E recommends applying this cream to the skin as often as you’d like in order to relieve symptoms. Unfortunately, they don’t provide much more direction than that. 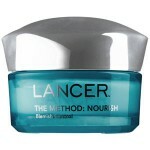 It’s unclear if this product may be applied to the face, but we would not recommend it. 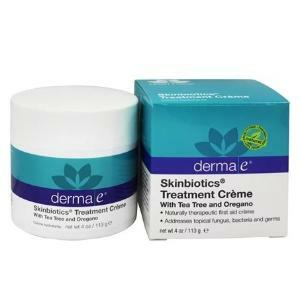 Derma-E Skinbiotics Treatment Cream retails for $21.95 per 4.0 fl. oz. of product on Derma-E’s own website. Tea Tree and Organic Oregano: These ingredients are meant to work together to prevent antibacterial benefits. Avocado and Chamomile: These ingredients work together to hydrate and soften the skin. 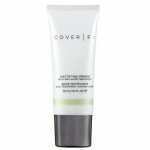 This cream hydrates the skin as it treats dry patches and irritation. This product includes antibacterial and antifungal properties. This cream is vegan, paraben-free, and mineral oil-free. This cream contains several known irritants, including oregano oil. It’s unclear how this product is meant to be used. 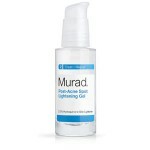 This product claims to protect the skin against bacteria even though it’s housed in jar packaging, which is unhygienic. Derma-E Skinbiotics Treatment Cream claims that it can protect the skin against bacteria, dryness, irritation, and other skin afflictions as it deeply hydrates. Although this may sound like a unique solution, particularly for those with skin sensitivities, there are several issues we’d like to address. First and foremost, this product is rather unclear about where and how it’s meant to be used. 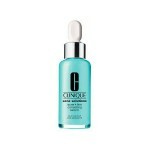 Should this product be applied to the delicate skin on the face? Is this product meant to be used from the neck down? The description is quite unclear. This product claims that it can prevent issues caused by bacteria, even though the product itself is housed in a jar. Jar packaging is quite unhygienic since you have to keep dipping your hands into it with each use. 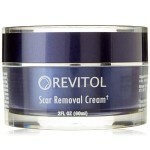 Additionally, this cream claims to sooth the skin and prevents irritation, but it contains several known irritants. Overall, we’re a bit confused by the point of this product, and we’d strongly recommend continuing your search for a moisturizer that suits your skin’s needs and is clear about its uses. Derma-E Skinbiotics Treatment Cream is available on the Derma-E website. Their return policy is quite reasonable. If, for any reason, you’re not happy with the product you’ve chosen, simply return it within 30 days for a full refund. Be sure to include proof of purchase. Return shipping costs will not be refunded.